Welcome to Roaming Down Under, an independent hobby website where I share some of the great locations and activities I've enjoyed on my travels in Australia and New Zealand. Some parts of Victoria and southern New South Wales. The About page has a bit more about this website and its author. Explore by location - pages grouped by state or region (WA south coast, etc). 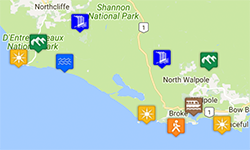 Explore by category - pages grouped by subject (beaches, scenic drives, etc). Browse the Articles - my opinions and tips on travel, photography, hiking, packing, etc. Watch the videos - some of my pages are illustrated with a video; the Videos pages gather them together. Otherwise, there is a Sitemap which lists every page, or the search box (top) if you're looking for something specific. My ten most recent pages are listed below. You can also be informed of updates by subscribing to my RSS feed or following me on Twitter (@RoaminDownUnder). Tucked away in the far south of Tasmania is a railway notable for two reasons ... it is Australia's most southerly, and is the last remaining bush tramway in the country. 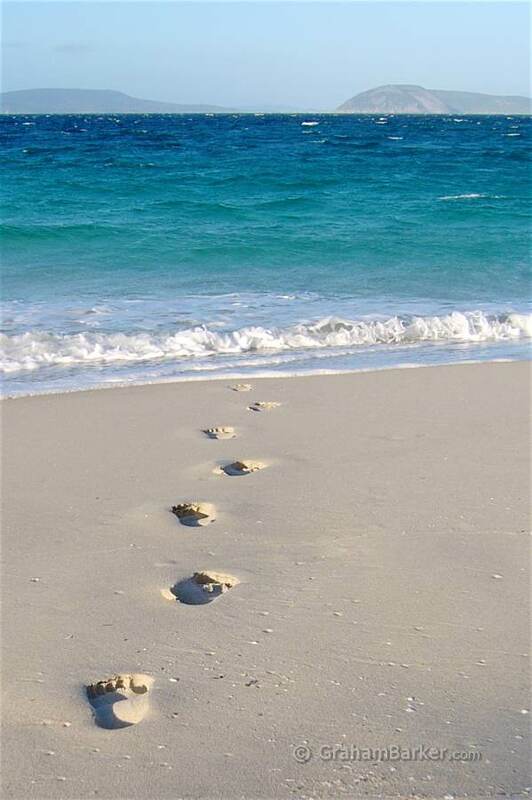 The two hour return ride is a pleasant way to taste the area's scenery and history, and access a remote beach walk. The 16km return walk to South Cape Bay is the most southerly day-walk you can do in Australia. The mostly gentle slopes, beautiful Tasmanian bush and birdlife, and wild beach at the end make it a delightful wilderness walk for anyone able to cover the distance. How far south can you go in Australia, and what's it like there? On my first visit to Tasmania, this curiosity led me to drive south until I ran out of road. The landscapes and coast I found there have lured me back to Tasmania's far south on all visits since. If a power station museum doesn't sound like a must-see sightseeing attraction, then a visit to the Waddamana Power Station Museum might change your thinking. It's not like a museum, because it's a real hydroelectric power station - Tasmania's first - preserved as it was on the day it closed down. For a gadget lover who is curious about how things work, it can be surprisingly enchanting. This walk in Tasmania's far south leads to a tranquil small lake hidden in forest. If you fancy a not-difficult walk in beautiful quiet forest, walking to Duck Hole Lake can be pleasant. The biggest challenge is finding it.